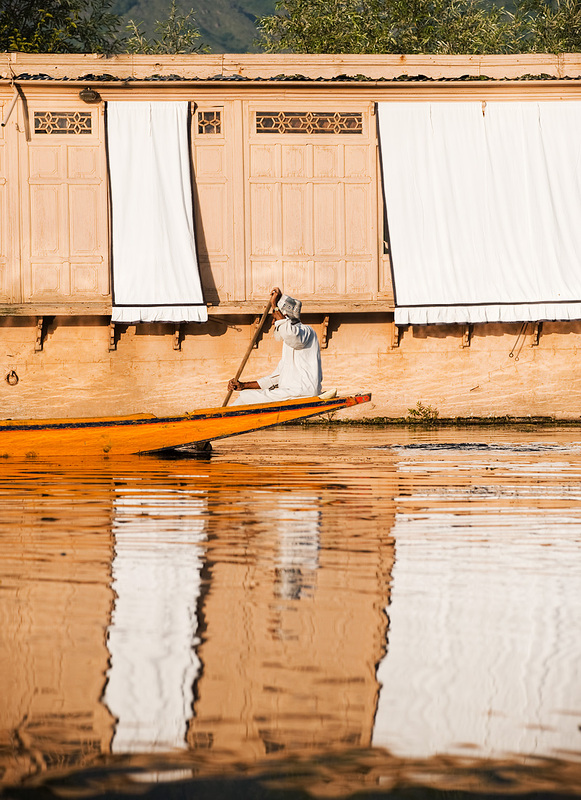 A Kashmiri man rows past the shaded windows of a houseboat on Dal Lake. To take advantage of a loophole in taxation, Raj-era British families built floating homes on Dal Lake. Today the houseboats serve mostly as floating hotels for Indian and foreign tourist alike. On the budget end, paper-thin walls separate sparsely decorated rooms. On the overpriced end, rooms are classed with multiple stars by Srinagar's houseboat owners association. 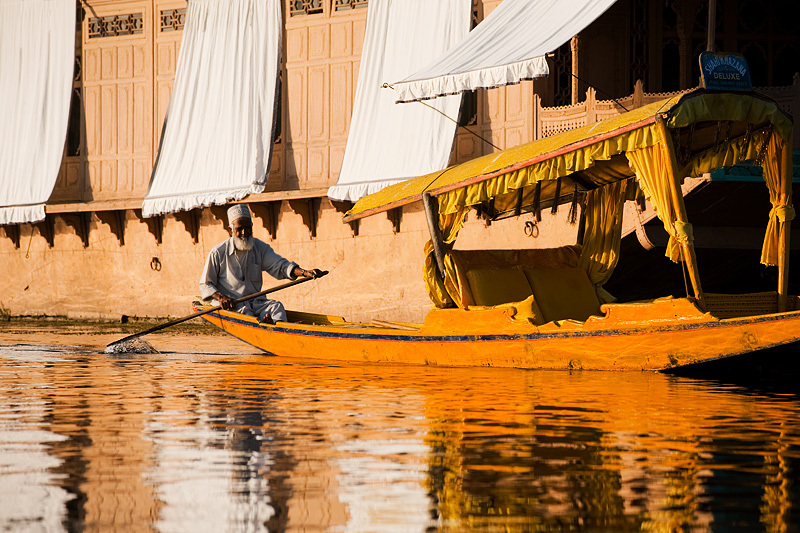 A bearded Kashmiri man paddles past the deck of a boathouse on Dal Lake. The Lonely Planet dictates that no trip to Srinagar is complete without a stay on a houseboat. As a result, drooling tourists mindlessly queue up to experience Srinagar's authentic tourist experience ignoring their mid-lake imprisonment (relying on the owner for boat-rides back to shore), mediocre, in-house cuisine while paying accommodation prices that far exceed their on-land equivalent. Give me the freedom of a typical Indian guesthouse over a houseboat any day of the week, including Sundays. Archived photos (on the weekends) concludes. Stay tuned. Tomorrow, we resume our regularly scheduled Thai island programming. how do you manage to sustain yourself thru your long long journey? @Kelvin, I sent you a private message regarding your question. @Beezer, thanks for the kind words. It's comments like yours that help me learn that people are actually enjoying my photos.